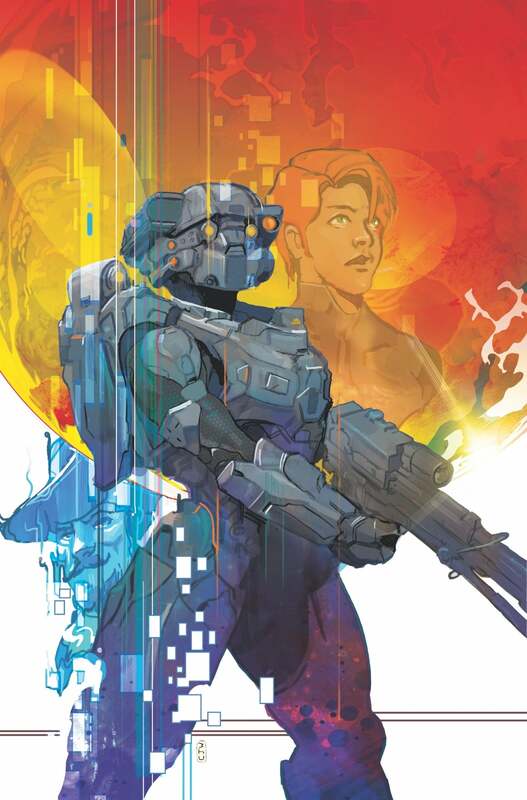 Dark Horse Comics and 343 Industries have partnered up once more for an exciting new Halo series starring the determined Spartan Linda-058 as she hunts down a UNSC Rogue! The esteemed publisher tells us, "Halo: Lone Wolf finds Linda on a dangerous covert mission without her team. Her skills in infiltration and marksmanship make her perfect for the high-stakes mission to end the threat posed by a wanted scientist on a distant planet. With only an ONI AI at her side, Linda must fight through both the dregs of the Covenant and the hostility of a lost human settlement to stop the rogue scientist in his tracks." With a talented team at the helm, including writer Anne Toole (Horizon Zero Dawn, The Witcher), art by Kieren McKewon (White Canvas) and JL Straw (Back to the Future), with colours by Dan Jackson (Buffy the Vampire Slayer, Call of Duty: Zombies). The first issue officially goes on sale January 2, 2019 and is available for pre-order right now! It will be available both at local comic shops and online, though we do recommend that you support your local comic shop by requesting a copy there and helping out in your own community that way. Just a suggestion, because comic shops are cool and we are ComicBook.com. "Halo: Collateral Damage follows the Master Chief and Blue Team as they are deployed by the UNSC to an unstable colony world. Their mission: to terminate the Covenant’s efforts to uncover something ancient and powerful beneath the planet’s surface. However, as the mission takes a turn for the unexpected, the Spartan-II strike team realizes that the stakes of their mission are higher than they imagined, and they’ll have to rely on each other and a small group of human rebels to survive."